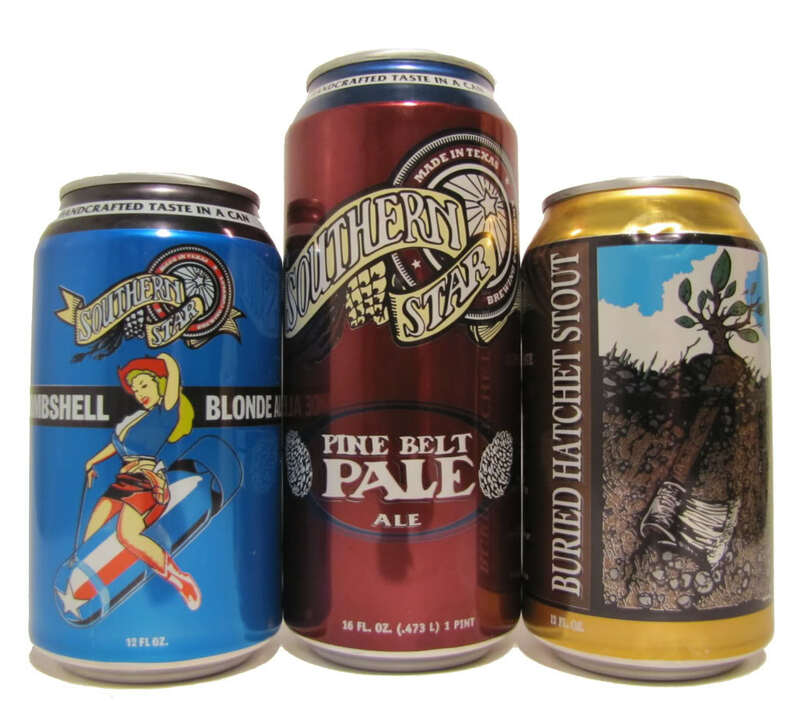 The Southern Star Brewing Company is not just any old brewery. For one thing, they are not some huge mid‑western beer empire out of Milwaukee, or the like. The Conroe brewers are Astros fans. They got started in 2007—four Texas families and six generations strong. Water is a vital component of beer. The quality of the water may dictate the quality of the beer. This is what led Southern Star to set up shop in East Texas in 2008. They wanted to use pure, unfiltered, Piney Woods, East Texas water in 100% of their brewing, ensuring every sip is local and lovely. Southern Star is a craft brewery, which means their production is small and focused. Their three brews have varying degrees of alcohol content and incredibly vibrant, distinct flavors. Their signature beer is the Pine Belt Pale Ale. The purposefully bitter brew with its subtle color can be found in 16‑ounce cans. The Blonde Bombshell, as the name might suggest, is their blonde ale, and it comes in a brilliant blue 12‑ounce can, including a picture of its namesake. They also brew a strong American stout‑style of beer called Buried Hatchet. This meaty dark stout resembles Guinness and comes in four‑packs of 12‑ounce cans.